The monitoring boat found four whale shark today. 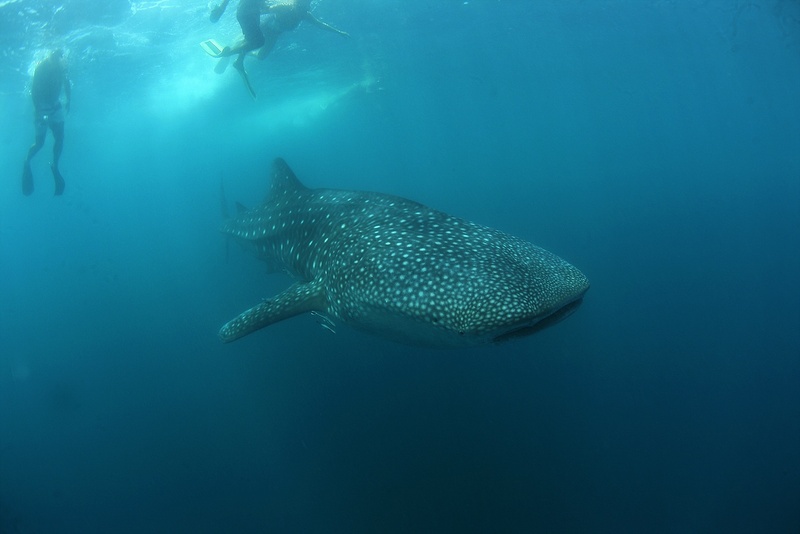 Great weather and visibility and very friendly whale shark. He is so gentle, we can swam with him almost 1 hour.